A low, curved windscreen that can be easily removed for weekend racing, a folding rain top and, for an additional charge, slot-in windows for the doors. These were the ingredients that went into the first Porsche 356 Speedster in 1954. The spartan cockpit featured lightweight bucket seats with rigid backrests. The dashboard equipment was limited to just the speedometer and temperature display. Heating and a rev counter were only available as optional extras, which kept the basic price below the magical 3,000-dollar mark. 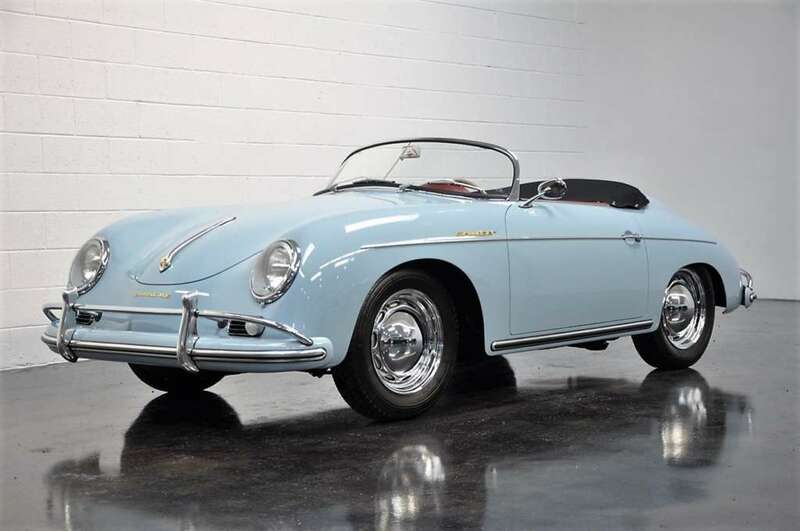 This beautiful 356 Speedster is for sale. By clicking on the picture you get directly to the ad. Selling up to 1,171 units in its strongest year, the 356 Speedster was a resounding success, although this success story was not to be continued until much later. 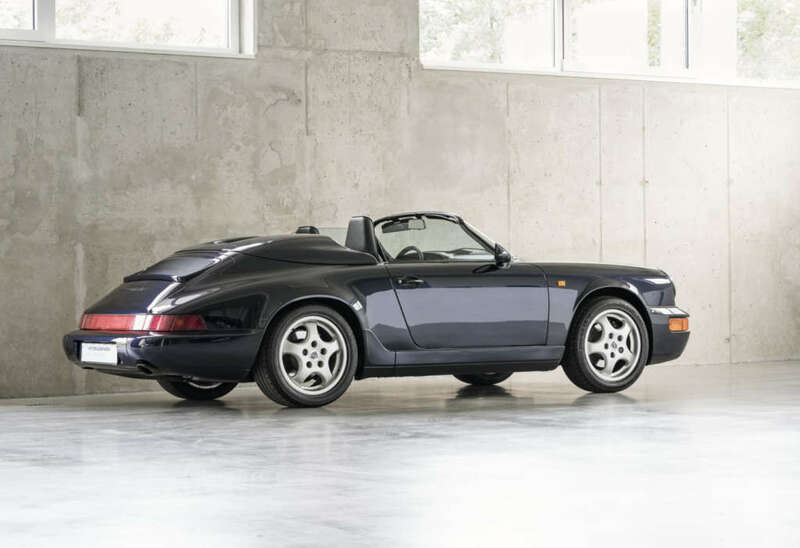 Fans of pure open-top driving would have to wait until 1989, when the vehicle that had been teased at the IAA two years previously – the Porsche 911 Carrera 3.2 Speedster – finally rolled into dealerships once 911 G series production had come to an end. 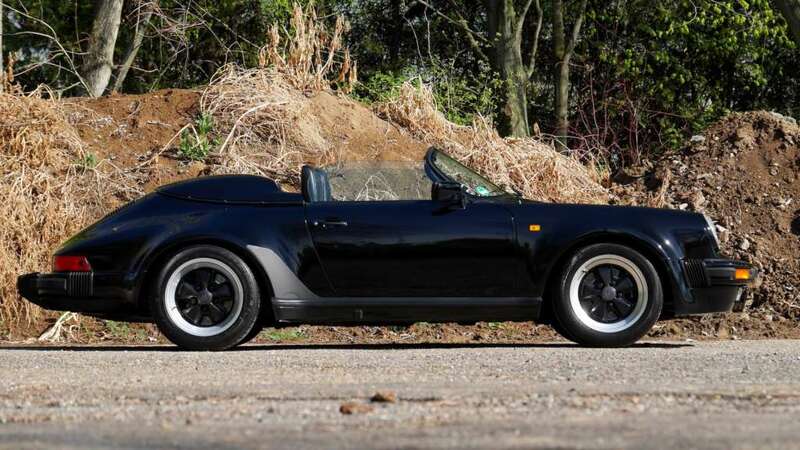 This beautiful 911 Speedster is for sale. By clicking on the picture you get directly to the ad. 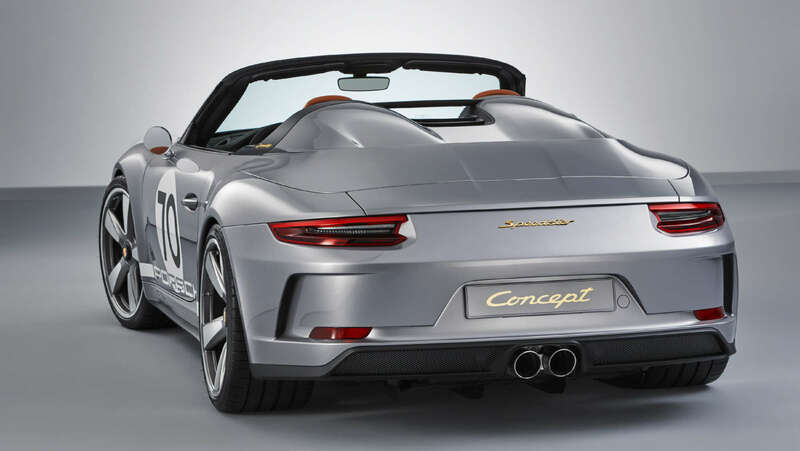 Unlike its predecessor, which was designed to be spartan and affordable, the Carrera 3.2 Speedster was the crowning glory of the series. 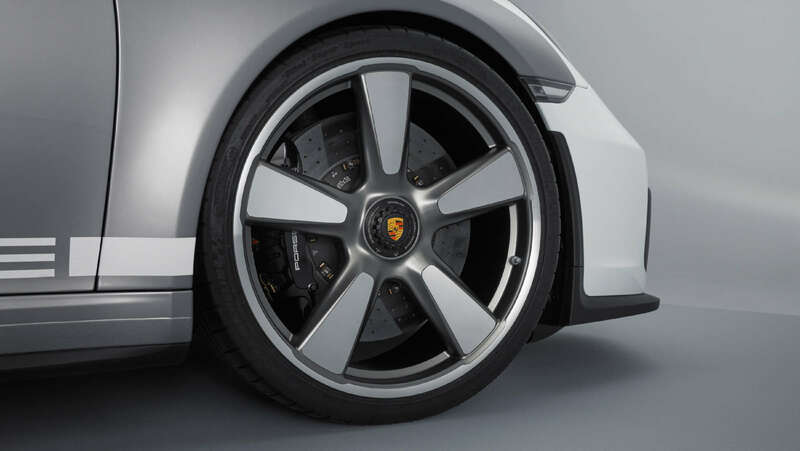 The most open of all the 911 vehicles, sold under order code M503, featured the flared wheel arches that were distinctive of the Turbo-Look, and was enhanced with a custom chassis and the brake system from the 911 Turbo. In the interior, the comfort features remained largely the same, although the foldaway seats were dispensed with due to the new, more narrow roof construction. 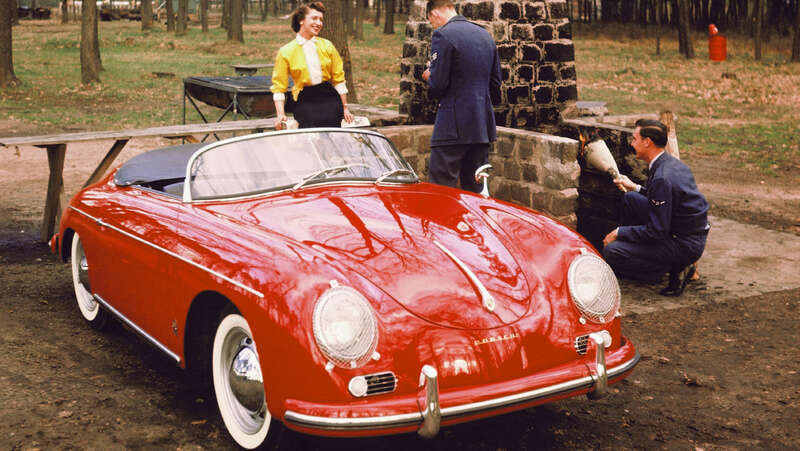 As with the 356 Speedster, the roof was intended only for emergency use in extreme weather conditions, and was not intended to be a permanent design feature. 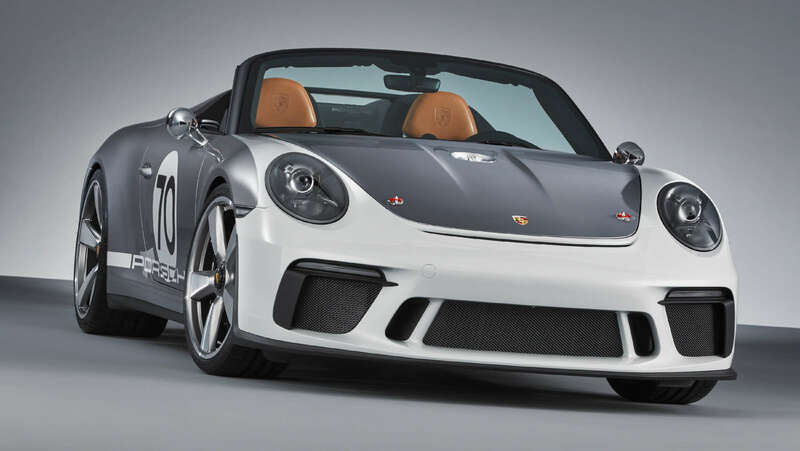 Most of the time, the lightweight roof construction was to be hidden beneath the sleek bumps of the fibreglass cover behind the seats, giving the Speedster its characteristic look. 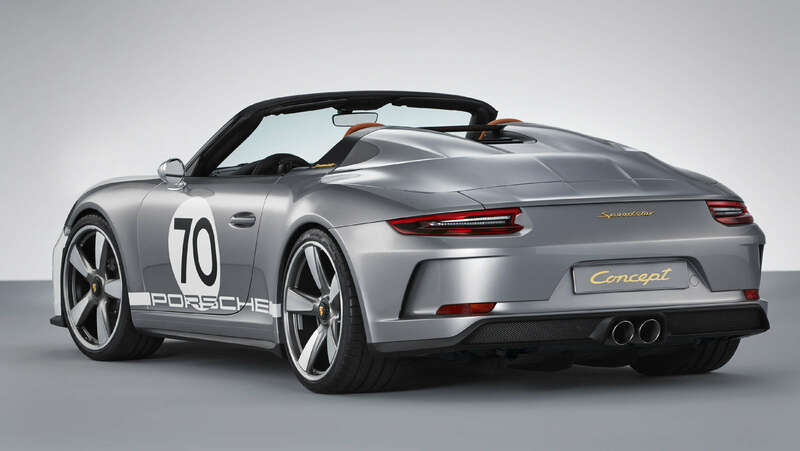 Thanks to its lightweight roof and the removal of the rear seats, the Carrera 3.2 Speedster weighed 70 kilograms less than the 911 Cabriolet. This, combined with a lower centre of gravity and the adjusted track width, made the vehicle extremely agile. However, due to the cost and rarity of the vehicle – only 2,104 units were produced – it was more popular with collectors and enthusiasts than with those seeking a motorsport experience. 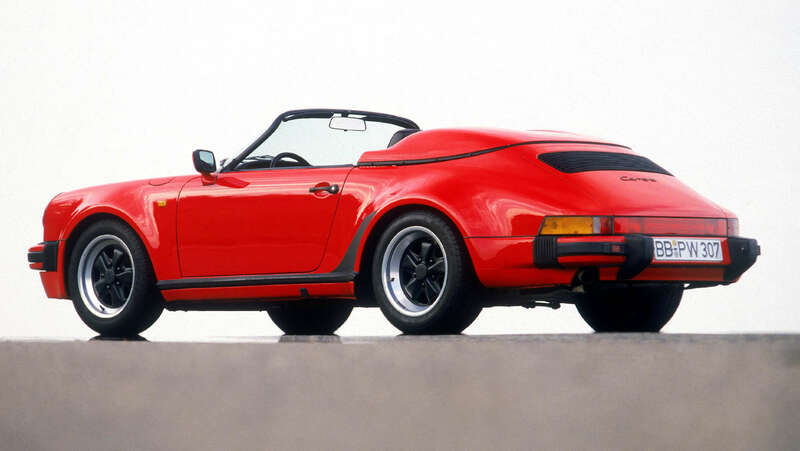 It was only three short years after the end of G series production that a 911 would once again bear the Speedster logo. 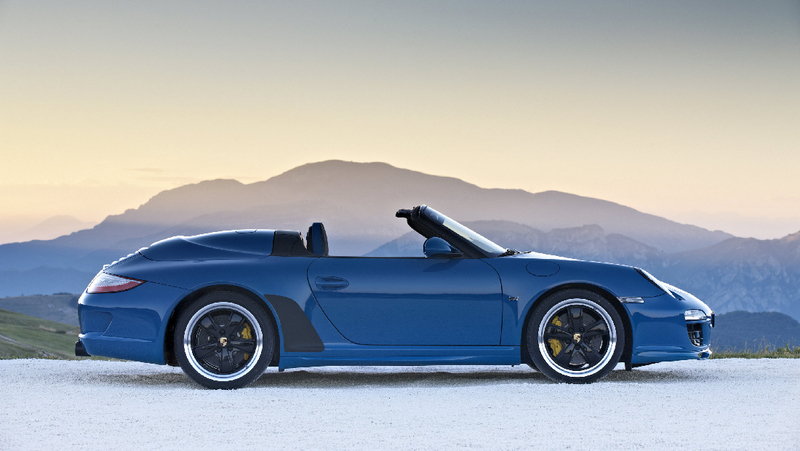 In the 964 series, the Speedster returned to its original purpose: sport. The chassis was borrowed virtually unchanged from the Carrera RS, as were the bucket seats – with back shells painted in the same colour as the vehicle – and the lightweight door trims. 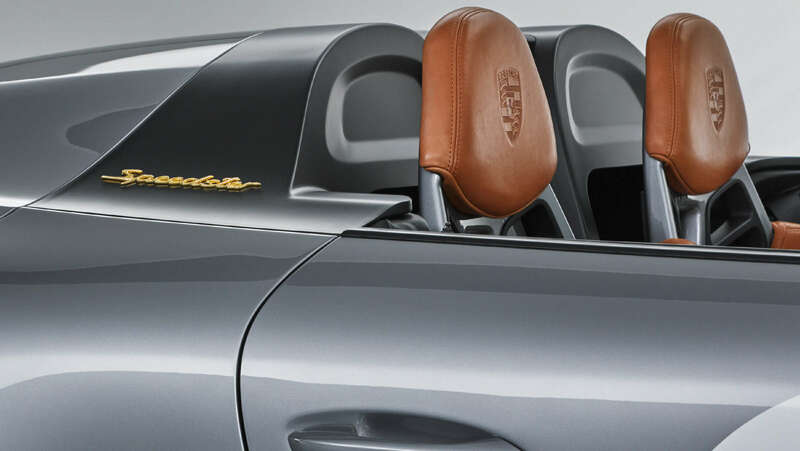 In contrast to the Carrera 2 and Carrera 4 Cabriolets in the series, practically every convenience feature was omitted in the Speedster. There were no electric power windows, and air conditioning and radio were available only for an additional charge. The 964 Speedster also adopted the rain top and removable windscreen from the Carrera 3.2 – and almost all of the vehicles produced featured the narrow Carrera body. 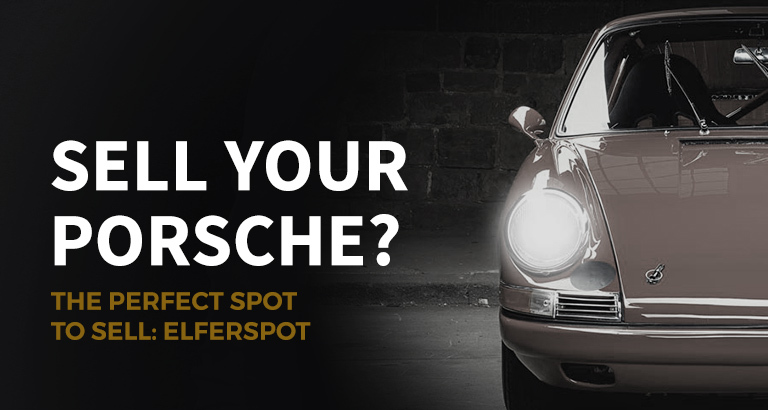 Of the 936 units of the 964 series, only 20 WTL variants were produced as a special series by Porsche Exclusive Manufaktur. 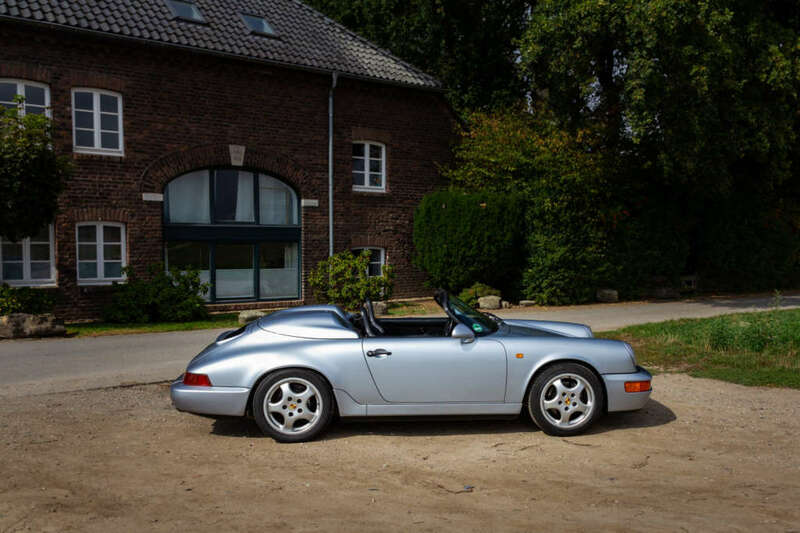 Both Porsche 964 Speedsters shown here are for sale. By clicking on the picture you get directly to the ad. 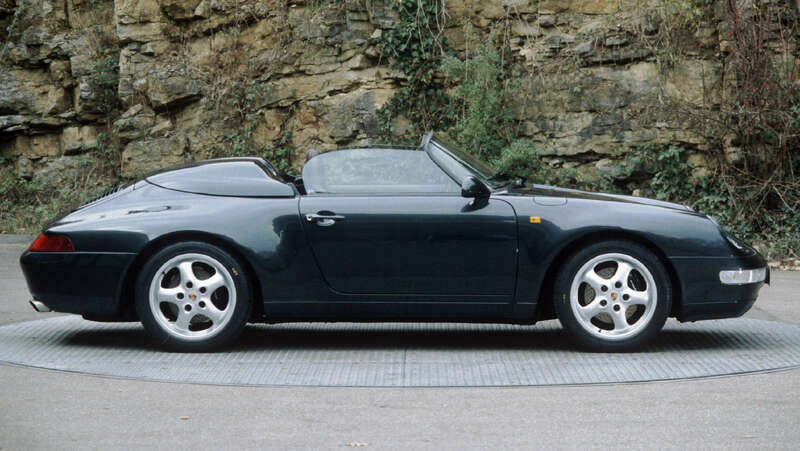 Porsche has never built a 993 Speedster, right? Not correct. Porsche Exclusive was commissioned to build two Porsche 993s inspired by the 356: 1995 a green car for Ferdinand Alexander Porsche’s 60th birthday and in 1998 a silver copy for Jerry Seinfeld. 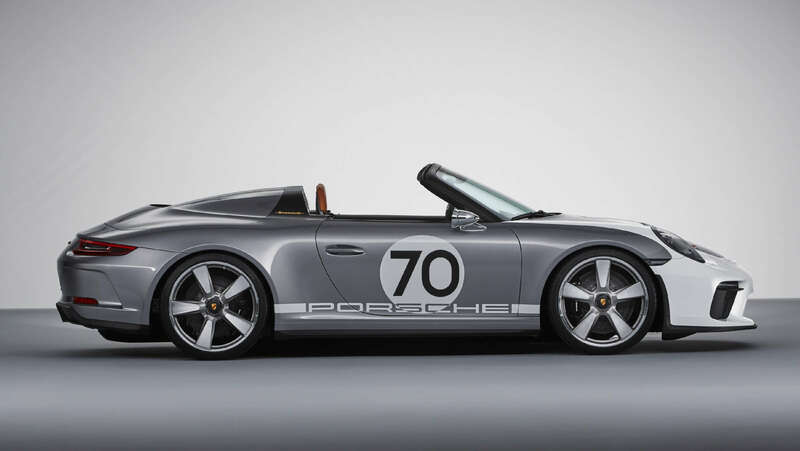 Not quite such a rarity but still a limited edition: the next 911 Speedster was a special model to mark the end of the 997 series. 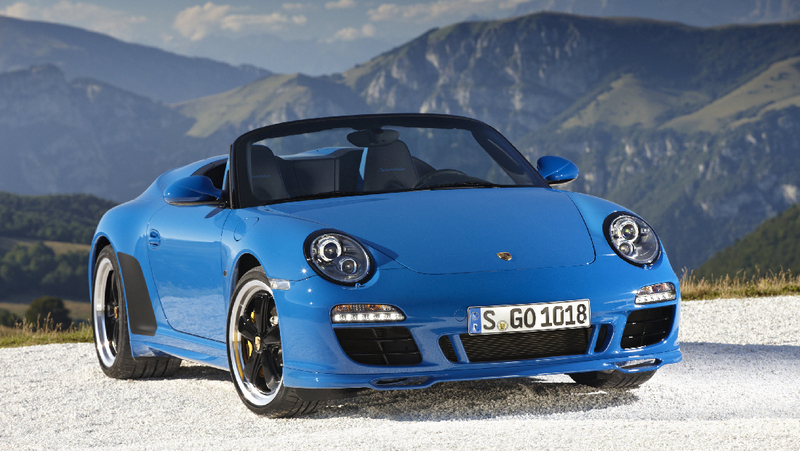 Porsche introduced this variant in the autumn of 2010. It was limited to just 356 units and featured the same powertrain as the 408-hp Carrera GTS. Among the standard features for this vehicle were a sports exhaust system, PDK transmission and PCCB ceramic brakes, as well as the possibility for the owner to choose the number of their vehicle. 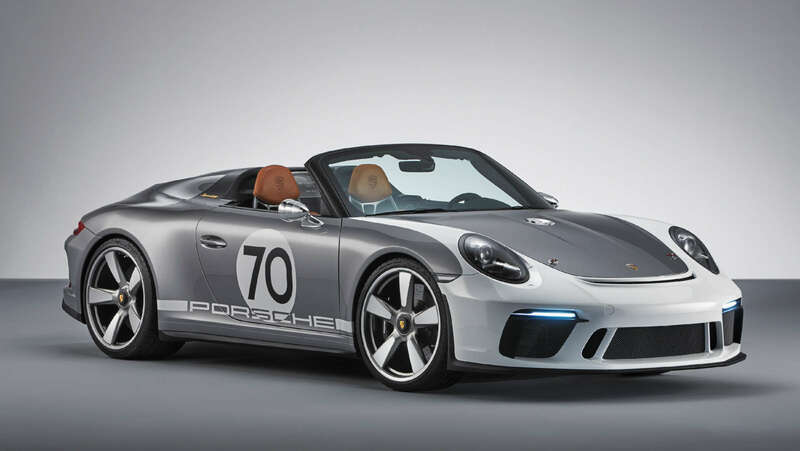 And for the first time in the history of the Speedster, the roof – once again sitting atop an ultra-flat windscreen – was no longer an emergency measure but now 100% waterproof and suitable for everyday use. However, to keep the vehicle weight down, control for the roof was still manual. 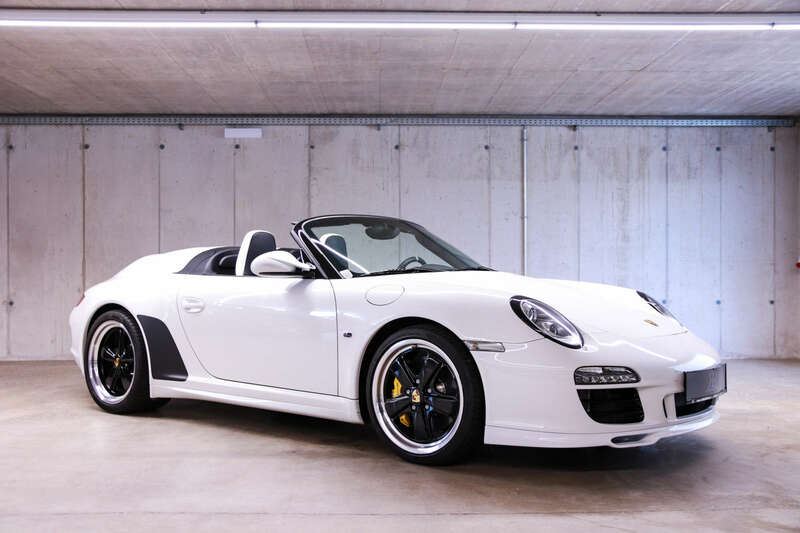 This 997 Speedster in Carrara White is the number 324 out of a total of 356 built pieces and is currently for sale. A click on the picture leads directly to the ad. 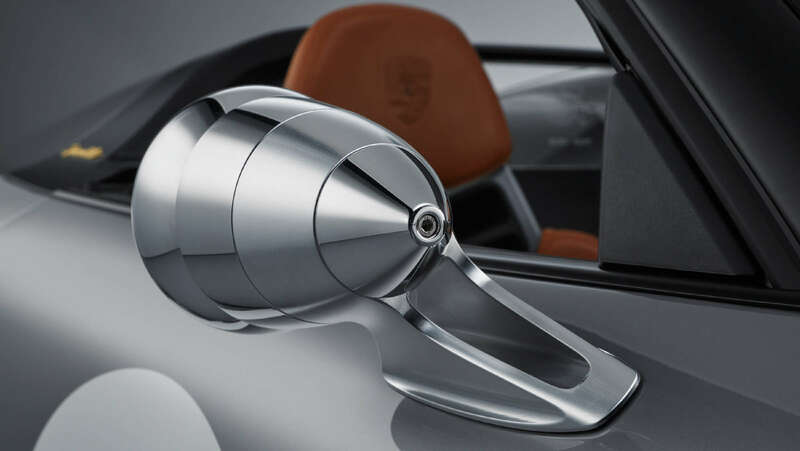 Fans of the flat windscreen and open-top driving were given a special treat at the opening event of the “70 years of the Porsche sports car” anniversary celebrations, with the announcement of the Porsche 911 Speedster concept. Based on the current generation of 991 vehicles, the developers forged a link between the Porsche 356 “No. 1” Roadster, which received its operating permit on June 8, 1948, and the Porsche vehicles of today. 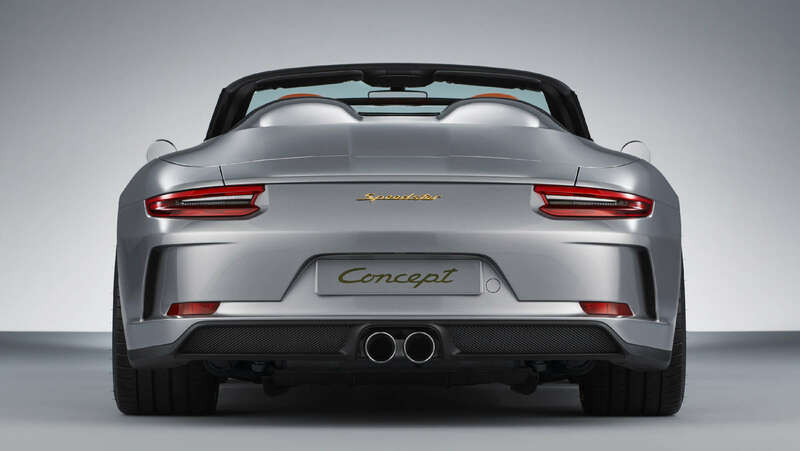 Numerous details, such as a tonneau cover instead of a convertible top, the absence of a navigation system, radio and air conditioning, carbon full bucket seats and lightweight door trims, all hark back to the predecessors of the Speedster concept. The “Talbot” exterior mirrors and the headlights, taped with a cross for safety, also hint at the motorsport history of the 356 Speedster.